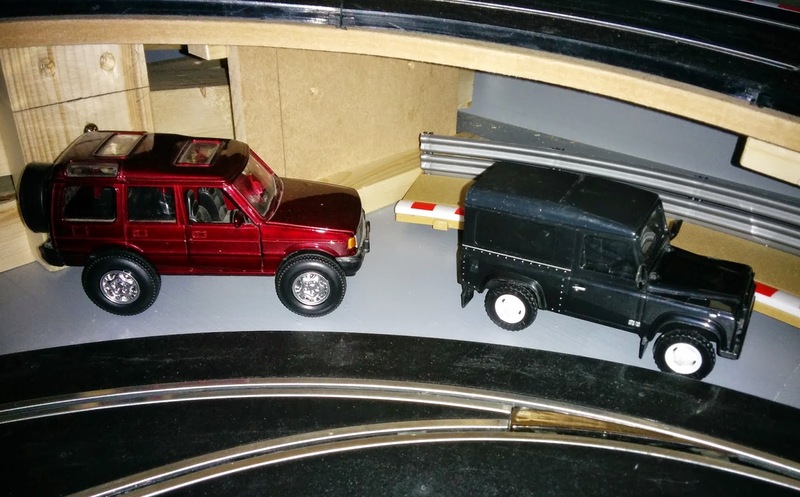 I had nearly given up trying to find any Land Rover Discovery or Defender slot cars or even any 1:32 scale plastic kits. Someone on a forum spotted a plastic 1:32 model of a Defender on ebay and kindly let me know. I put a low bid on and much to my surprise I got the model which arrived yesterday. The postage was more than the final bid. For some odd reason it has a die-cast metal roof but the rest of the body and chassis are plastic. I have no idea when I will get time to convert it in to a slot car but for the time being it can adorn the track as decoration along with the die-cast metal Discovery that I already had.